This article was brought to you by Ruth Richards on behalf of WebSearch SEO. WebSearch SEO is based in London and offers link building packages and professional SEO campaigns for clients from across the globe. Are you a small business owner who wants to take their venture to the next level? Have you considered SEO, but aren’t quite sure whether it’s really for you? It can be hard to know if it’s the right step, but in many cases, it can totally transform your business. Here, we take a look at 10 ways in which small business can benefit from search engine optimization. Even if you’re running a business from a spare bedroom in a rented property, the advances in the internet mean that you can take away customers from massive brands and take them as your own. It’s just a case of getting in front of your target market. If you have high ambitions, SEO could be the tool you need to reach them. SEO doesn’t have to be massively expensive. Yes, you’ll have to make a decent investment if you want an expert professional, but they can make you much more money than you’ll part with. If you’re worried about the cash side of things, consider pay on results SEO. This way, you quite literally have nothing to lose. Whether or not you’re aware of it, conversations are probably already happening online about your business. When you launch an SEO campaign, you’re ensuring that people find your official information when they search for you, and don’t just get lost in a sea of reviews. You might be operating from London, but there’s no reason why you can’t sell to people in Australia. You just need to reach them. With SEO, this becomes a valid possibility. In many ways, online marketing is entirely transforming the world of business. Internet users are notoriously impatient, and if your website doesn’t offer them a high quality experience, they’ll be off to your competitors. When you’re working with a professional SEO practitioner, they’ll be able to advise you on how to make your site as accessible as possible. People trust Google. If your website is appearing on the first page of a search, they’re likely to trust you also. In the days of e-commerce, this is absolutely essential. You could be just about anyone, so you need to take every opportunity to prove how trustworthy you are. Having a website is pretty pointless if you aren’t driving traffic to it. If people can’t see what you’re selling, they quite simply can’t buy it or even enquire about it. A good website is a wise investment, but only if you’re going to promote it. 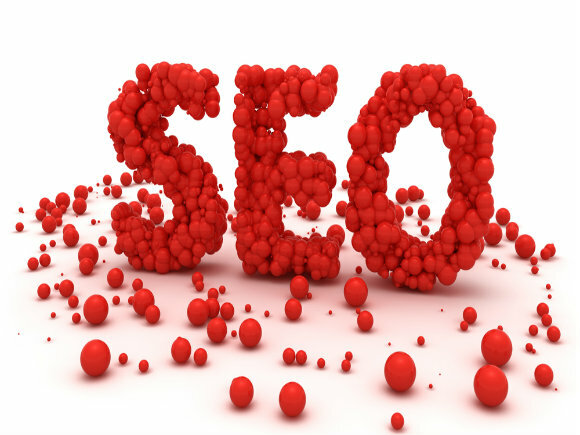 SEO is one of the most effective ways to do this. If your competitors aren’t already using SEO as part of their marketing mix, you can safely assume that they soon will be. And when they do, they’ll be taking customers from directly under your nose. Make sure that you get in there first and get the top search engine results for yourself! When you start an SEO campaign, you’ll have access to all kinds of wonderful data that can really drive your business forward. You’ll find out what your customers are searching for online, and this could be the inspiration for new product lines. This sort of data is invaluable to your business, and could give you the competitive edge you need. When you use a traditional form of advertising such as space in newspapers, the results will only last for a short period of time. But when you use SEO, you’ll continue to appear in the search results for long after you’ve finished your campaign. Of course, it’s wise to make your campaigns an ongoing commitment if you want to keep seeing the best results possible, but you won’t lose your rankings overnight if you don’t. As you can see, SEO holds unprecedented potential for small business owners. If you’re ready for your next level of growth, it’s one of the best decisions that you can make.